Strong durable water bottles for sale. Prices include postage Australia wide. Place an order. Delivery: 2 – 7 days. 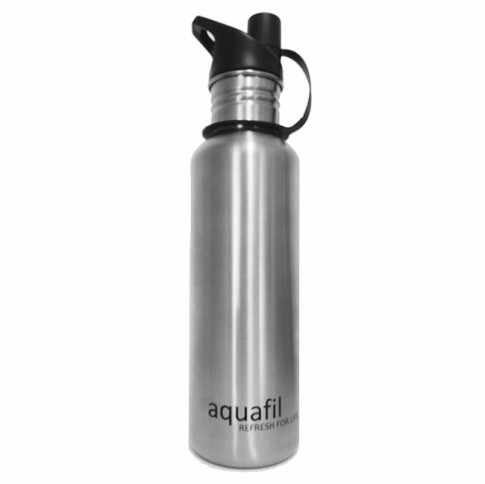 aquafil 750ml Stainless Steel Water Bottles are BPA free, environmentally friendly and made from quality stainless steel. They are easy to clean, light weight and the ideal bottle for all kids lunch boxes. The lids have a spout so there is no need to remove the lid each time you have a drink. aquafil Stainless Steel Water Bottles are ideal for use with the aquafil range of Water Refill Stations and Drinking Fountains and are a great way to encourage students and the local community to reduce waste and help create a sustainable environment. For more information download the product sheet on the right. To Order call 1300 400 006 or Order Now. 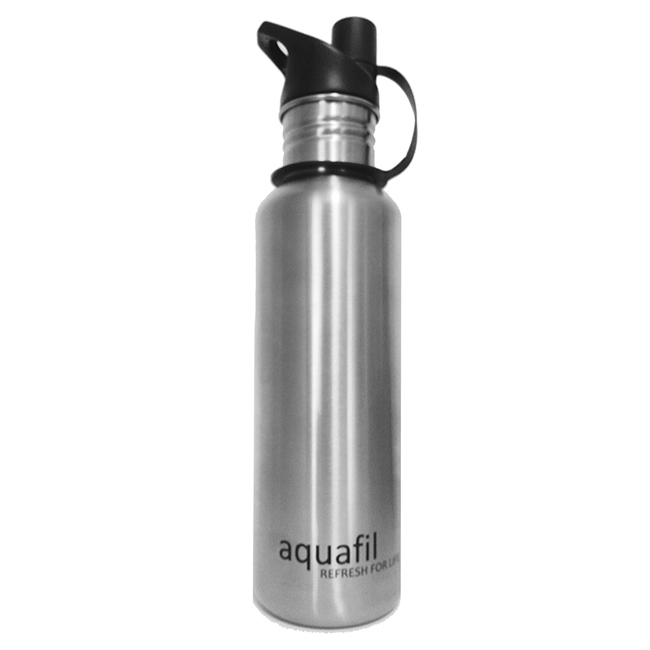 Stainless Steel Water Bottles are a great partner to the aquafil range of water refill stations and drinking fountains. The benefits of having easy access to clean, fresh drinking water cannot be underestimated. By the time we feel thirsty, we are already partially dehydrated and when kids are playing it is important they keep their hydration levels up. We should all be carrying reusable bottles to fill up when ever we can and having a water bottle refill station nearby not only keeps us hydrated but also saves us money.